The laws governing CBD are federal, state, and local, and involve not only statutory law but complex regulations as well. By way of background, CBD is short for cannabidiol, a compound found in both cannabis and hemp plants. Hemp and cannabis are the same plant, but hemp is bred to have very low levels of THC (delta-9-tetrahydrocannabinol, the psychoactive compound in cannabis). The good news is there is a lot more clarity as far as the legality of CBD after The Farm Bill became law on December 20, 2018, and the Act specifically stipulates that interstate commerce of hemp products (defined as containing less than 0.3% THC) is permitted. Even though CBD has been legalized, it is still largely unregulated. This guide will give an overview of where FDA regulation is likely to come into play, what guidelines CBD companies should heed to when marketing and branding their products, and some best practices for building consumer trust in an unregulated market. On December 20, 2018 The 2018 Farm Bill (officially called the Agriculture Improvement Act) was signed into law. The bill is over 500 pages long and contains provisions relating to agricultural subsidies, commodity support, and organic certification requirements. The provisions relating to Hemp are the ones that provide clarity to the CBD industry, which was operating in legal confusion prior to the passage of the law. The first big gain for CBD companies in the Act is that it removes hemp (defined as Cannabis sativa L. and any part of that plant containing less than 0.3% THC) from the Controlled Substances Act, meaning that to cultivate or sell hemp is no longer a federal crime. Second and equally significant for CBD businesses, the Act specifically allows for interstate commerce of hemp or hemp products. This is huge news for CBD companies and should provide confidence to CBD investors and operators going forward. Before the Farm Bill passed, I would often get questions from CBD business owners about “Industrial Hemp,” thinking that if they were sourcing their product from a certified industrial hemp producer, it was legal. One of the common misconceptions about hemp prior to the 2018 Farm Bill was that if you were selling CBD products sourced from industrial hemp they were legal. This is not the case as the industrial hemp carveout was only for plants cultivated and processed for research purposes at accredited universities. The new Farm Bill makes clear that hemp can be sold commercially, obviating the need for claims of sourcing from “industrial hemp,” at least at the federal level. Today FDA Commissioner Scott Gottlieb resigned, effective in about a month. This could cause further delays to CBD regulations but it is still possible that the scheduled hearings will take place in April 2019. The FDA is considering dual-track regulations which would treat low-dose and higher-dose CBD differently. Under this framework, a low-dose CBD would be subject to less regulatory scrutiny and a higher dose product will be more strictly regulated as a drug. The FDA’s current stance is still that it is unlawful to add CBD to food (which includes beverages) or to use it as dietary supplement. Commissioner Gottlieb also reiterated his concerns about therapeutic claims on CBD product labels. The issuing of new regulations will take time and is “not a straightforward process,” in the Commissioner’s own words. The FDA’s December announcement made clear that if you are making claims of a therapeutic benefit, or any other disease claim, you must first have FDA approval for the product’s intended use before introducing the product into interstate commerce. Therapeutic claims are those that market their products to suggest they are intended for use in the diagnosis, cure, mitigation, treatment or prevention of diseases. These are considered new drugs or new animal drugs and must go through the FDA drug approval process before they are marketed. There is not a bright line test to determine whether a therapeutic claim is made, and more than 10 distinct criteria are used to determine whether a claim is therapeutic. Some claims relating to efficacy or mechanism of operation are permitted without prior FDA approval -- these claims are called structure/function claims. These statements describe the effect a dietary supplement may have on the structure or function of the body. Structure/Function Claims are appropriate and do not require FDA approval before marketing the product. Whether a claim is a permitted Structure/Function statement or a Therapeutic Claim requires a ten factor analysis and the determination is made based on the totality of the product’s marketing and branding. [...] "[R]elieves stress and frustration" might imply treatment of [an] anxiety disorder[s], [...but] these signs also are characteristic of non-disease states. So, if there is no context linking them to a disease, they would be appropriate structure/function claims. If your CBD product relieves symptoms that are related to anxiety disorders but shared with many other non-disease states, you could be making a permitted structure/function claim depending on the rest of the product’s marketing and branding. The FDA takes into account many factors including not only whether the signs are characteristic of non-disease states, but also the name of the product (and whether it contains a reference to a disease); whether there is an effect on a natural state or process; has a role in the body’s response to disease, and others. A complex, multifactor analysis of the product’s entire marketing copy and brand identity is required to make a concrete determination, but this example is a good starting point for developing an understanding of what constitutes a therapeutic claim. 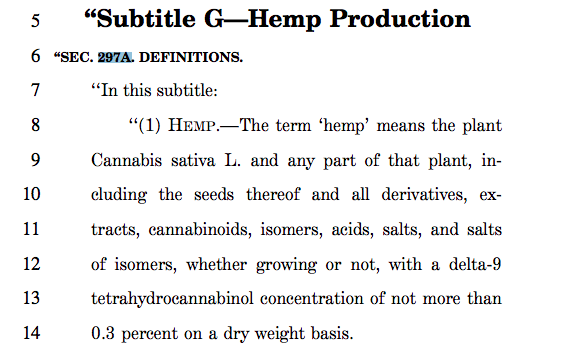 The FDA has explicitly forbidden food containing added CBD or THC in interstate commerce or the marketing of these products as dietary supplements, even if they are derived from hemp. No current federal regulations exist requiring CBD operators to obtain third party testing of their products before selling them to consumers or stipulating labeling requirements for CBD brands (though some states, like New York, require permitted facilities participating in their Hemp pilot programs to undergo testing). In California and other states where adult-use cannabis is legal, businesses must obtain third party testing that confirms no harmful chemicals or pesticides are contained in the product and reveals the exact amounts of THC and CBD contained in the product, in addition to complying with detailed labeling requirements. The best practice for CBD businesses now is to ensure that your labeling is not misleading consumers, and independently seek and obtain third party testing that verifies the contents of your products. By independently obtaining a Certificate of Analysis and providing this to your customers, you can be ahead of the regulatory curve and build consumer trust. Your state may already require third party testing for licensed hemp cultivators, but even if it doesn’t, and if it is feasible for your business to do so, the practice can help you generate customer loyalty (and recurring revenue) as you build your brand and will pave the way for complying with future CBD regulations once they are introduced. In addition to Federal Law, CBD operators must comply with State Law. In California, we are still awaiting CBD regulations. Licensed cannabis operators can produce products that contain high levels of CBD and lower levels of THC, but regulations pertaining specifically to CBD-only operations have not been issued. In July 2018, the California Office of Public Health issued a statement prohibiting CBD use as a food, food additive, or dietary supplement pending FDA rules or a California determination. No updated statement has been provided after the Farm Bill passed in December 2018. From a legal perspective, CBD brands can operate with much more confidence since the passing of the Farm Bill last year which clarified that interstate commerce of hemp products is permitted under Federal Law. However, we are still awaiting regulations that will provide guidance to CBD companies on best operating practices and more transparency for CBD consumers and patients. Lauren Estevez is a Los Angeles based attorney advising cannabis and CBD companies, investors, and brands.